The ICCR application form can be downloaded from this Mission’s website (ICCR Scholarship Application Form 2014-15). The application forms can also be obtained from the Education Wing at the High Commission of India, Kuala Lumpur (Tel: 03 6205 2350 ext 203, Telefax: 03 6143 1192, Email: edu@indianhighcommission.com.my). (iii) should not have any serious health problems. (g) Or other qualifications which are equivalent to 12th standard in India. The candidate should have taken the following compulsory subjects at the qualifying examination level: Physics, Chemistry, Biology & English, with minimum 50% marks in each subject. The minimum age to apply for these courses is 17 years, as on 1st October in the year of admission. Duration of all the 4 courses listed above is Five & Half (5 ½) years. 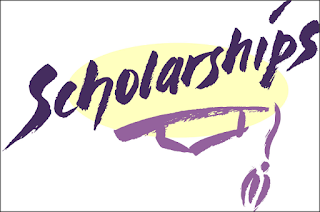 The scholarship provides for Tuition fee, Living Allowance, Contingent Grant, House rent Allowance and Medical benefits (no airfare is provided). Interested candidates may fill-in the application form and submit to the Education Wing, High Commission of India, Menara 1 Mon't Kiara, Level 28, No. 1, Jalan Kiara, Mon't Kiara, 50480 Kuala Lumpur. The last date for receipt of application by the High Commission of India, Kuala Lumpur is 3rd July 2014.